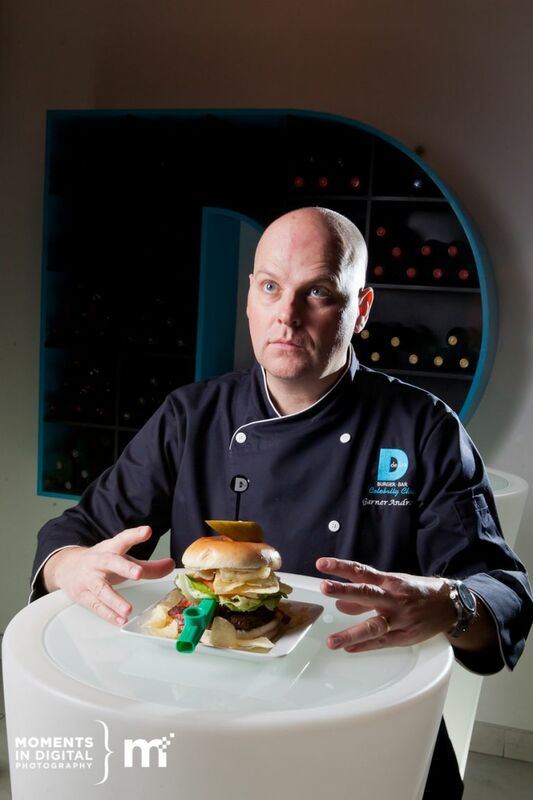 March is here and it also marks the return of the Delux Burger champion – Edmonton’s own Garner Andrews from Sonic 102.9. 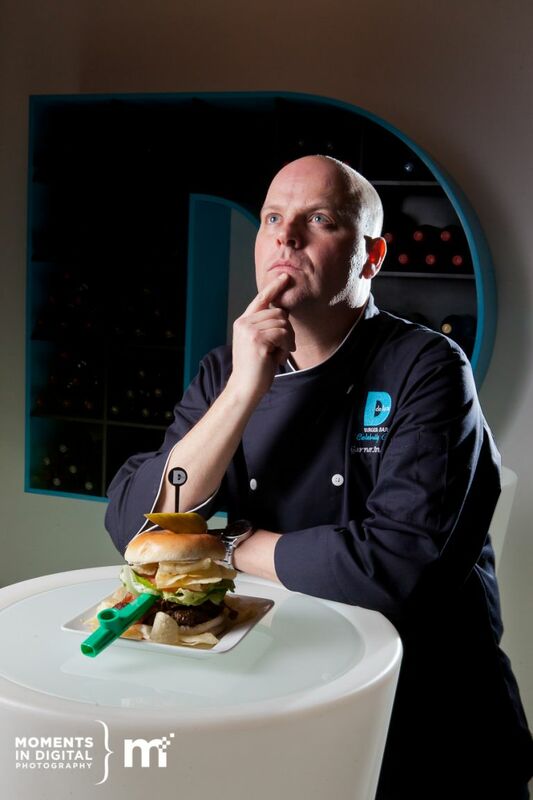 Last time, Garner’s ‘Garnivore Burger‘ was the top selling burger selling just over 2500 burgers in a month. 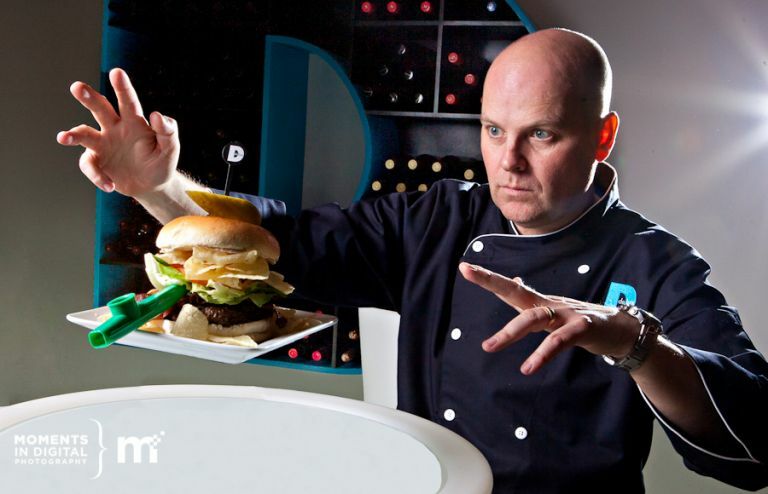 Well he’s back to break his record – this time with theÂ Kazaam Burger: A 7 oz. Heritage Angus beef patty topped with triple smoked bacon, potato chips, five onion dip, chipotle mayo, lettuce, and tomatoes on a fresh baked bun for onlyÂ $13. Once again Garner has chosen to support the Youth Emergency Shelter Society and $1 from every burger sold will go to help YESS. Each burger also comes with a fun Kazoo which makes a great gift for the kids or a great noisemaker at parties or around the office. I love it when I get to create images that are going to be used in advertising and it’s even better when the client you get to work gets into the shoot. Garner has such a great personality and brings his creativity and energy to everything he does. 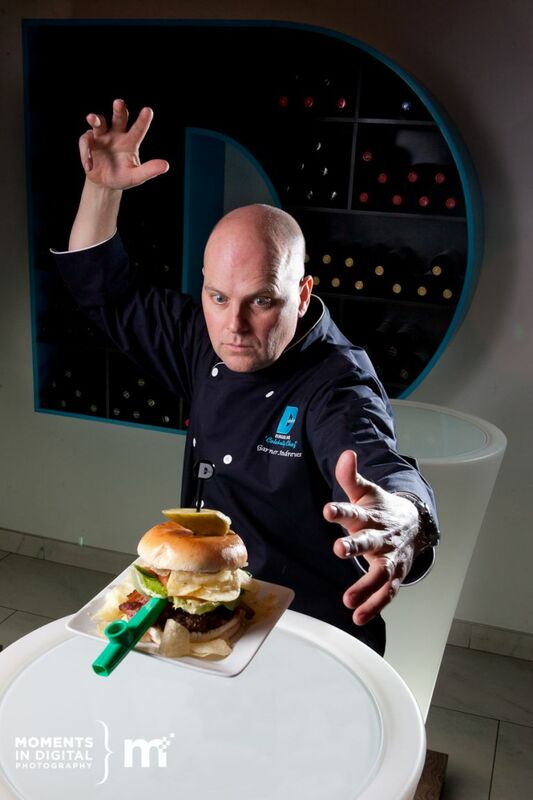 We had a great time experimenting with a few different ideas and at some point during the shoot the idea came up to try and make the burger levitate. How did we do it? 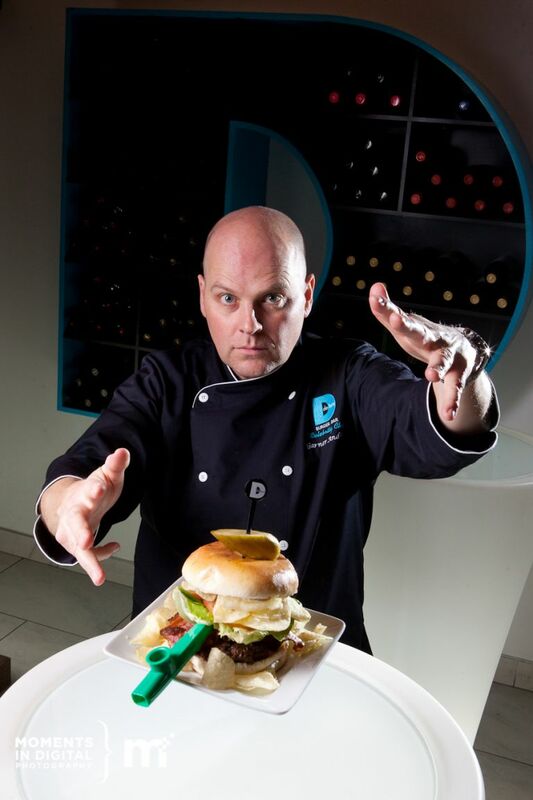 I’d love to get your comments on how you think we pulled it off and made the burger appear as though it was floating in the air. Here are a few of the images we captured during our shoot. If you are a company in Edmonton looking for a photographer for your next advertising campaign or commercial photography job, be sure to get in touch with us and find out how Edmonton Photographer Bruce Clarke can help you create a lasting impression with your next campaign.